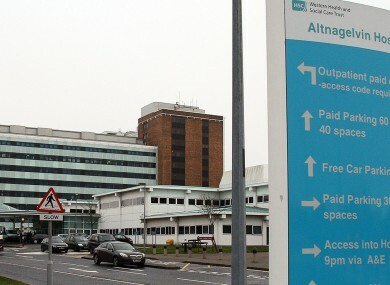 Altnagelvin Hospital, where the elderly man is being treated. A 73-YEAR-OLD man was seriously assaulted last night in Carndonagh, Donegal. Gardaí said they were alerted to the incident on Convent Road, Carndonagh, where the elderly man was assaulted. He was taken by ambulance to Altnagelvin Hospital in Derry where his condition today has been described as serious. A man in his 30s has been arrested in connection with the incident and is currently detained at Buncrana Garda Station. The scene has been preserved for a technical examination. Anyone with information about the assault is asked to contact Buncrana Garda Station on 074 9320540 or the Garda Confidential Line 1800 666 111. Email “Elderly man in serious condition after Donegal assault”. Feedback on “Elderly man in serious condition after Donegal assault”.